GM has issued six separate recalls this year for the 2014 Chevrolet Silverado, shown here, and the GMC Sierra, making them the most frequently recalled vehicles of this year. For owners of GM's most popular pickups, recalls have been almost a monthly occurrence this year. The 2014 Chevrolet Silverado and the GMC Sierra have been recalled six times so far in 2014, giving them the dubious honor of being the year's most frequently recalled vehicles. And it doesn't stop there - the two trucks have been recalled nine times since they hit showrooms 12 months ago. The Silverado and the Sierra are nearly identical - they share the same frame and many of the same parts and design features. GMC's Sierra is essentially a high-end, higher-priced version of the mass-market Silverado. They may need lots of repairs, but don't call them lemons. 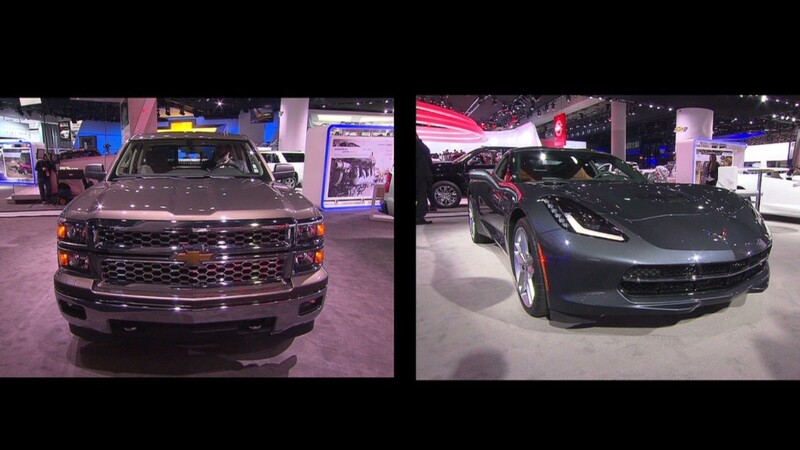 The Silverado won Truck of the Year honors from the nation's leading auto critics at the Detroit auto show in January. And buyers love them too. 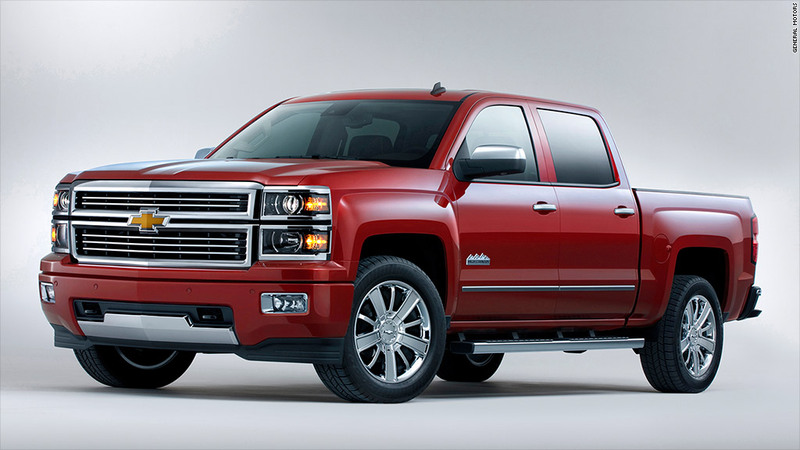 The Silverado is GM's best-selling vehicle in the U.S., and the Sierra is the best-selling GMC model. GM (GM)said the recalls are sign of its commitment to safety. The automaker has been at the center of a massive controversy after it recalled 2.6 million cars for an ignition switch flaw ten years after it first knew of the problem. "We are doing our best to minimize inconvenience to owners of recalled vehicles," said spokesman Alan Adler. "But our customers' safety comes first. If we identify an issue -- large or small -- that might affect the safety of our customers, we will act decisively." GM could not say how many trucks were subject to all six recalls, but there were probably very few, since two of the recalls in question are tiny. In May, 477 trucks were recalled for a steering problem, and 184 trucks were recalled in June for unsecured floor mats. But just because a recall is small doesn't mean it isn't serious. The steering problem flagged in May was so serious that GM called owners, sent overnight letters and used the OnStar in-vehicle communication system to warn them to stop driving the pickups immediately. GM sent flatbed trucks to take the vehicles in for repairs. 559,000 vehicles with an oil cooler line that was not secure. 467,000 trucks that could shift into neutral unexpectedly. 378,000 trucks with exhaust components that could overheat. 70,000 vehicles with warning chimes that failed to alert divers when a door was open. Plenty of other vehicles have been recalled multiple times this year, as automakers speed up the recall process. A CNNMoney analysis of federal safety regulator data shows that more than a dozen other models from Ford Motor (F), Fiat Chrysler Automobiles, Nissan (NSANF) and Toyota Motor (TM) have been subject to three or more recalls so far this year.